There are hundreds of indelible images at Laurel Park. Building upon Maryland's version of the Breeders' Cup – the 33rd Jim McKay Maryland Million – Laurel will play host Saturday to the inaugural Clubhouse Festival, an entertainment experience that will introduce Thoroughbred racing to a new generation of fans with music by Grammy nominated Steve Aoki and a host of other top tier performers. The Stronach Group, parent company of Laurel Park, has worked diligently to update racing with significant entertainment, events and exceptional dining. 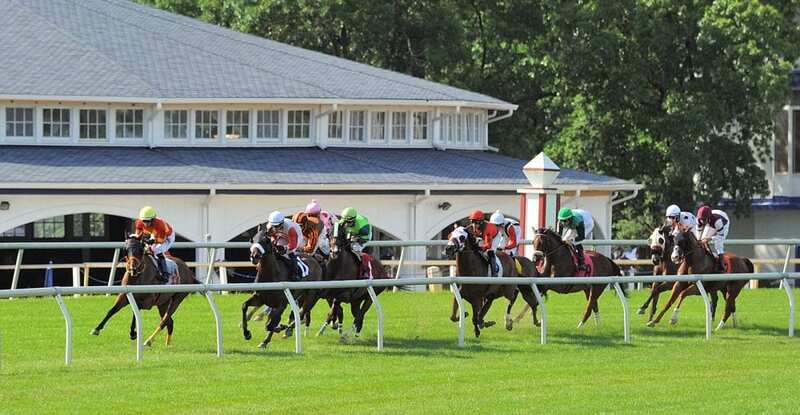 Clubhouse Festival will be the first at renovated Laurel Park, but it isn't the first time the 107-year-old facility has hosted exceptional entertainment events. In the late 1960s, Laurel played host to three Jazz Festivals featuring Miles Davis, Dizzy Gillespie, Etta Jones and Thelonious Monk among others. Attendance for each festival was estimated at approximately 25,000. Before the 1967 concert, workshops were organized by George Wein's Newport Jazz Festival All-Stars and free admission was offered to thousands of Baltimore students. In July of 1969, a month before Woodstock, Wein teamed up with concert promoter Elzie Street to produce the Laurel Pop Festival, a two-day music festival that has become known for an incredible and eclectic list of 12 performers who have all been inducted into music Hall of Fames across the world. Those performers included Led Zeppelin, Sly and the Family Stone, Buddy Guy, Al Kooper and the Jeff Beck Group featuring Rod Stewart and Ronnie Wood. The second night of the festival was delayed several times by rain. It was reported that it wasn't until 10 p.m., that the Jeff Beck Group, featuring future Faces Stewart and Wood. Ten Years After, the Guess Who and Zappa and the Mothers followed before Sly and the Family Stone wrapped up the festival after 2 a.m.
Bernstein would cover the Watergate scandal three years later with Bob Woodward. This entry was posted in The Biz and tagged carl bernstein, clubhouse festival, laurel park, Maryland Million, steve aoki, stronach group by Press Release. Bookmark the permalink.